Morris Bloom principally works with the antitrust group, where he focuses on mergers, antitrust litigation, government investigations and counseling. From 1998 to 2011, Morris was a manager in the FTC’s Merger II Division, where he supervised a 25 attorney group responsible for investigating and litigating mergers and non-merger matters in a wide range of industries, including high technology and computer hardware and software, recorded music, chemical, automotive, coal, and intermediate and consumer goods and services. Morris was a staff attorney at the FTC from 1985 to 1998, where he led investigations and worked on trial teams. 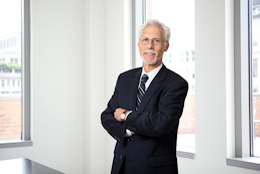 Over the course of his 25 year career at the Commission, Morris participated in several federal district court preliminary injunctions and HSR enforcement actions, and Part 3 administrative litigations, Morris also has participated in providing technical assistance to antitrust agencies in China and Peru. Upon his retirement from the FTC , Morris received the FTC’s Award for Distinguished Service for dedicated service to all facets of the FTC’s antitrust enforcement efforts, excellence in leading investigations, advocating the FTC’s position in litigation, and supervising and mentoring younger attorneys.